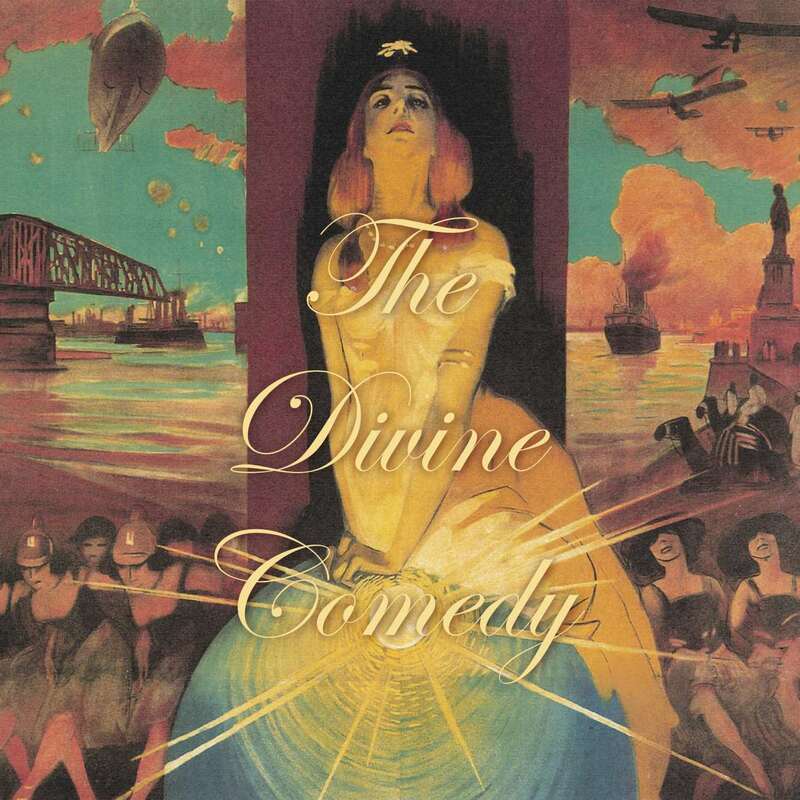 The Divine Comedy is a self-confessed vehicle for Neil Hannon to embrace a passion for history, conventional and unconventional romance, surreal humour and outlandish orchestrations. Hannon is a fine musician, curious lyricist and showman – “I may act” he warned. 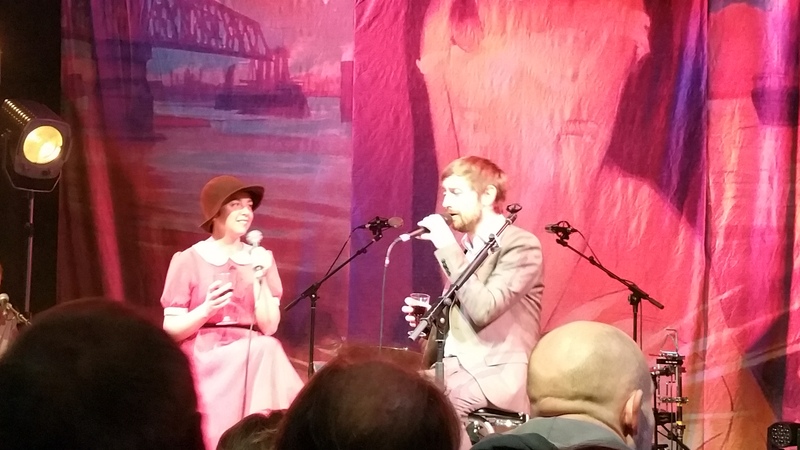 This show was our fourth experience of the Divine Comedy, but only the second with a full band (previously we had seen Hannon perform alone with a piano and guitar at Somerset House and later in Cambridge). We have also seen him do Duckworth Lewis Method with Thomas Walsh in September 2013. The first time we saw the Divine Comedy at a damp music festival in Inveraray, Hannon was clearly (and probably understandably) unhappy such that beer was thrown at the audience. Tonight, wine was actually offered to the audience in a glass (albeit to one lucky recipient in the front row). How things change. Two observations. First, Hannon unusually did not play piano, only guitar. Second, I have never seen Hannon so relaxed despite a few technical sound issues that inexplicably accompanied the songs. One indicator of this was his dressing up routines. Staples in the repertoire, quite rightly, are the Complete Banker and Bang Goes the Knighthood. Both are propped with a bowler hat and an umbrella (the latter being particularly useful). 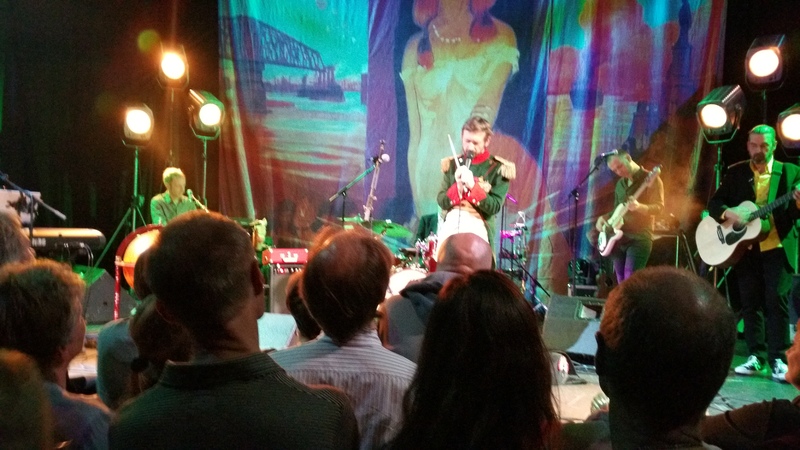 Songs from the current album, Foreverland, benefit, it seems, from Hannon dressing up as Napoleon – two actually: the uncomfortably revelatory How can You Leave me on my Own? and To the Rescue (the latter gets a guest appearance from Billy Cooper and his trumpet). This is a little odd because the song about Napoleon, Napoleon Complex, did not get on to the running order, likewise the title track. Whilst I feared too much emphasis on the new album, it being the Foreverl and tour, Hannon perhaps under-represented it. A Desperate Man, I feel, would have gone down a storm. But it was nice to duet Funny Peculiar with the enigmatic, charming and funny Lisa O’Neill, left, his support act (for some reason this reminds me of Dean Friedman and Denise Marsa’s Lucky Stars). I find Hannon really frustrating at times. He writes great songs – Our Mutual Friend is epic and rendered so in this show. Sweden is a colossus. Though I do not know why (the Napoleon garb here seemed appropriate). Song of Love – does what it does better than any other. National Express takes us back to simpler times (albeit being a shade impolite to hostesses). Indie Disco is a clever temporal list of tunes that defined a generation. Tonight we Fly, flies absolutely as an encore. But why Hannon persists with the Frog Princess and Something for the Weekend, I do not understand. It is maybe something to do with imagination, fantasy, storytelling – all legitimate elements of the Hannon way. Count Grassi’s Passage Over Piedmont, one of Hannon’s own favourites, features the romance of travel (a recurring theme), with just a little too much cheese (songwriting surrealism)? That said, I cannot say that I did not enjoy them. Only that Hannon has better songs. Playing with Hannon was his long-time collaborator, Andrew Skeets on keyboards (for me as much a part of the Divine Comedy as Hannon himself). Tim Weller was the drummer (his charming son sold me a couple of posters), Simon Little, Bass; Ian Watson accordian and keyboards and the guitarist who, embarrassingly, is nameless (if anyone can help with naming, let me know). A cool unruffled bunch. This 50-date tour gives us the opportunity to go twice. It straddles 2016 and 2017. We are off to Hamburg in February. Really looking forward to it.